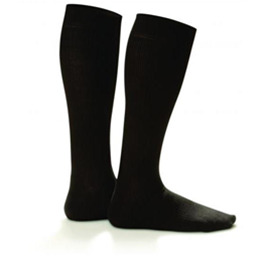 Micro-Nylon Dress Socks for Men (20-30). Durable, Breathable, Ultra-Soft. Shape To Fit's firm support socks promote blood flow and are designed to improve circulation, prevent swelling and relieve achy legs.